We founded Southeast Dental Partners in 2012 with the vision of combining all of the best aspects of a large group of providers with the solo private practice that has thrived for so long. Our partner doctors have a clear path to ownership from day one and it is SDP’s goal to help them achieve their utmost potential. Our mission is to provide continuous support to our partner practices in order for them to deliver the highest quality dental care and service to their patients, while focusing on complete efficiency in all aspects of what we do. The Right Tools. The Right Core Mission Statements. In order to work towards high levels of success for our partners, we have set these three core mission statements. We Are Committed To Constant Support. We Will Always Work to Empower One Another. We will empower our colleagues and coworkers in order to grow Southeast Dental Partners into one of the leading companies in dentistry. Ryan helped co-found Southeast Dental Partners in 2012 and currently serves as its CEO. He focuses mainly on business development and acquisition strategy and does so with a keen eye on continually providing maximum value to the partner doctors and practices. His unique understanding of the provider and business side of a dental practice allows him to grow the business with a constant focus on clinical autonomy and independent development of each partner practice. 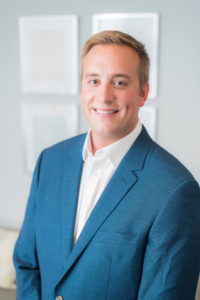 Ryan earned his undergraduate degree from North Carolina State University and graduated with Honors while earning his Doctorate of Dental Surgery from University of North Carolina at Chapel Hill. Ryan and his wife Seantel live in Charlotte, NC with their two children Ellie and Graham. Mike helped co-found Southeast Dental Partners in 2012 and currently serves as the company’s President. Mike is responsible for the company’s operational efficiency and oversees the day-to-day management of each individual practice. His main priority for the business is to maximize the value it can bring to its partner doctors and he is passionate about creating the best opportunity for them. 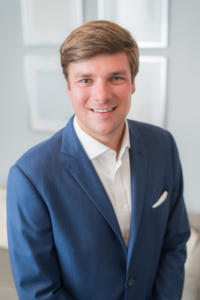 Mike attended Belmont University for his undergraduate degree where he played basketball and graduated with Honors while earning his Doctorate of Dental Surgery from University of North Carolina at Chapel Hill. Mike and his wife Brooke live in Cornelius, NC with their 3 children Jackson, Olivia and Emilia.